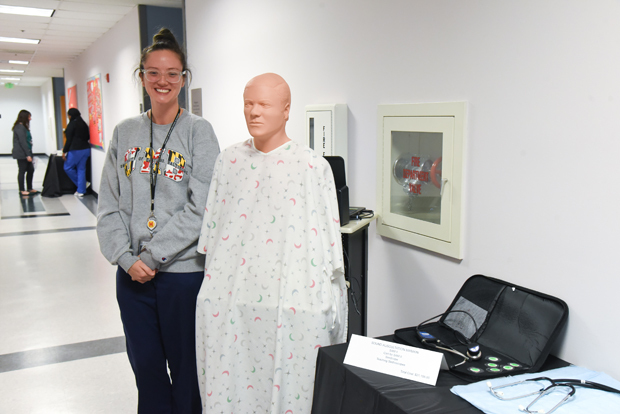 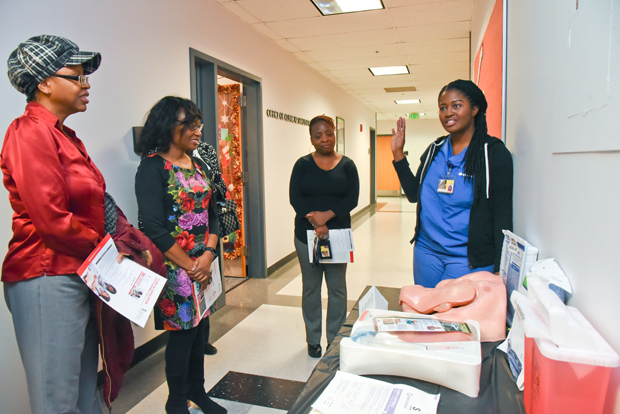 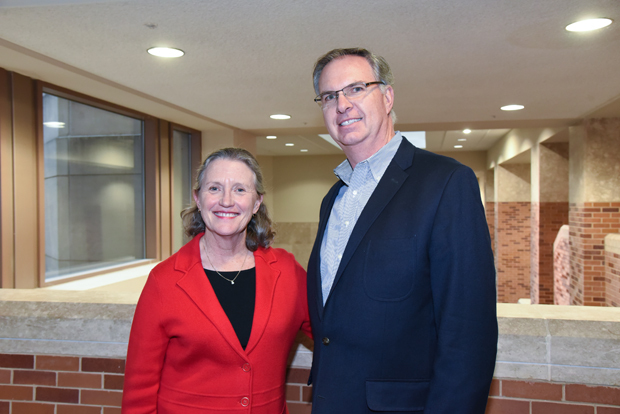 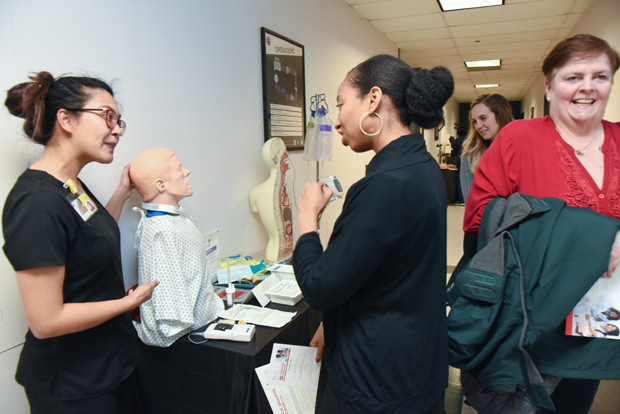 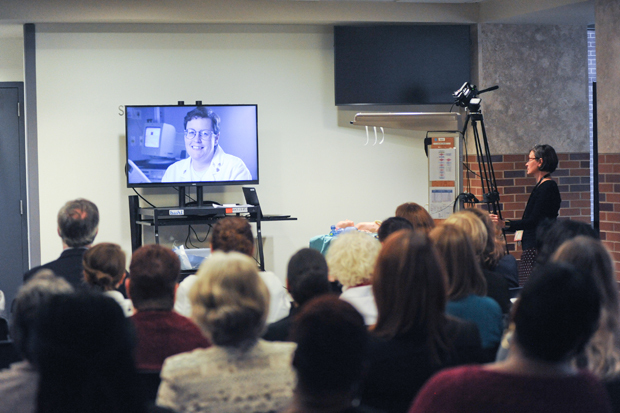 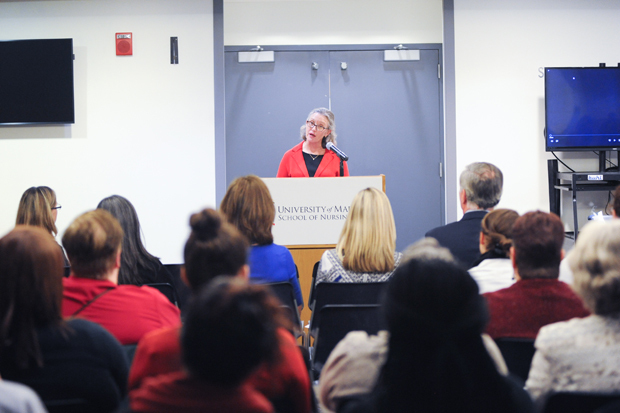 Jane M. Kirschling, PhD, RN, FAAN, the dean of the University of Maryland School of Nursing, welcomed an audience of faculty, staff, students, alumni, donors and other guests who gathered at the school Dec. 6 for the Debra L. Spunt Clinical Simulation Labs 20th anniversary celebration. 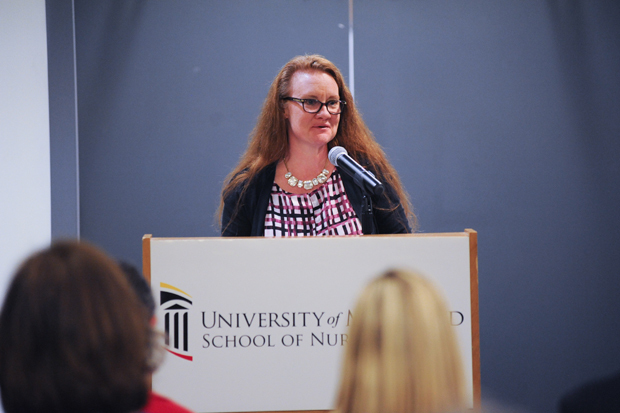 Kirschling provided an overview of the school’s pioneering history in the use of clinical simulation as a component of nursing education, explaining that clinical simulation experiences are not just technological marvels, but have been integrated into the overall curriculum for both entry-into-practice and advanced-practice programs. 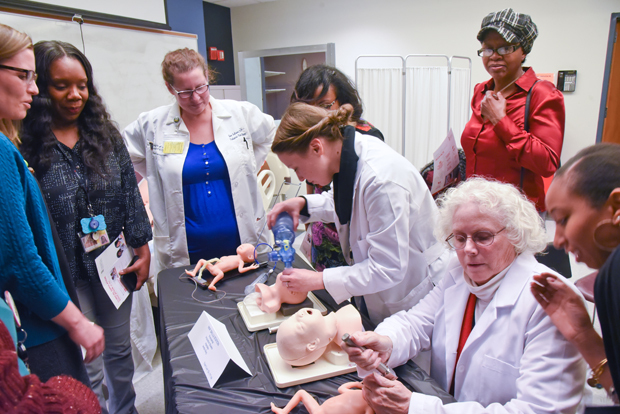 Simulation experiences are also used to allow seasoned nurse practitioners to develop new skills and expand their abilities, an important function given the rapid pace of change in the clinical environment. 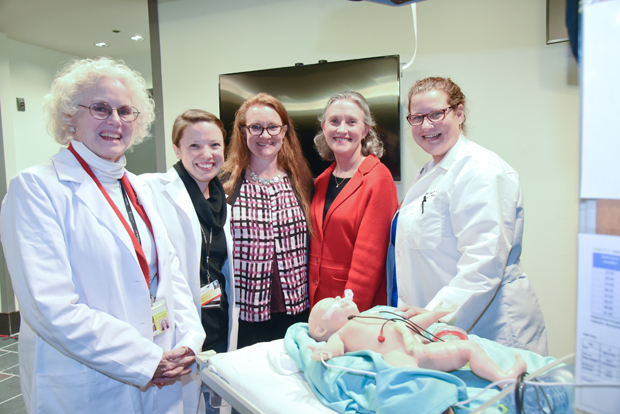 Guests were given a demonstration of the lab’s capabilities with a simulated crisis involving a manikin baby that has the ability to turn blue, cry, move, breathe, have a heart rate and receive invasive treatments. 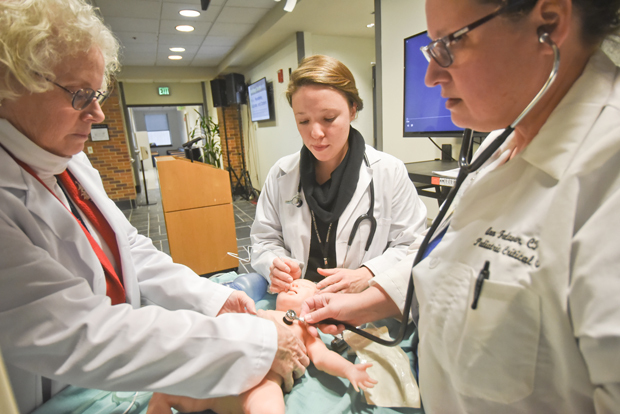 The current simulation laboratories were opened along with the School of Nursing building in 1998 as a $38 million, 154,000-square-foot project.